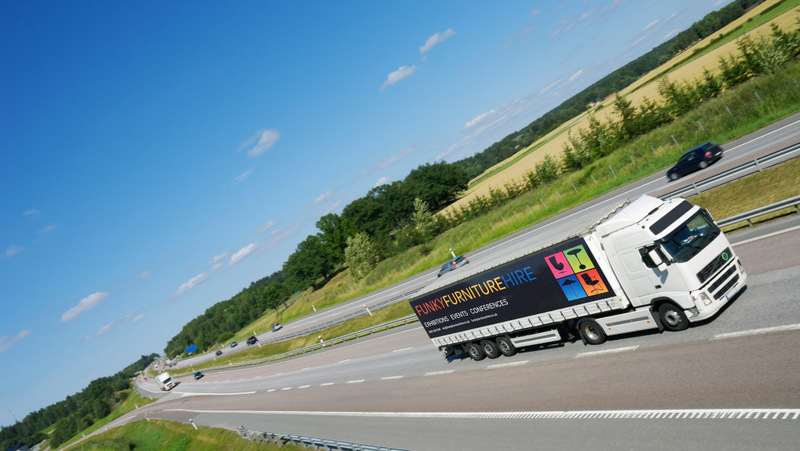 At Funky Furniture Hire we deliver and collect furniture at your convenience. With our fleet of over 20 vehicles, professional drivers and experienced transport staff you’re in good hands from start to finish. We cover the UK, Ireland and Europe and deliver 24 hours a day. At Funky Furniture Hire we put you first. So we’ll move heaven and earth to deliver the best customer experience possible. Our sales staff are always happy to help with any delivery enquires and will work out the best option for your event. For further information call us on 0203 328 5446 or get in touch with us. *Subject to availability and additional cost.